When the right mulch is chosen, it can reduce the amount of time homeowners spend watering and weeding their gardens and insulate plants from dramatic changes in weather. Mulch is available in various forms. Like other land and garden products, mulch can go a long way toward helping plants thrive. Mulch comprises just about any material that is spread over the surface of soil. Its purpose is primarily to help soil retain moisture. In addition, mulch can staunch weed growth, keep soil cool, improve the aesthetics of garden beds, and even improve soil nutrient composition. When the right mulch is chosen, it can reduce the amount of time homeowners spend watering and weeding their gardens and insulate plants from dramatic changes in weather. Gardeners may not realize that mulch also can prevent garden soil from becoming overly compacted, ac-cording to HGTV. This can mean beneficial earthworms can move easily through the soil, creating channels for water and depositing their nutrient-rich waste products. Gardeners can choose organic or inorganic mulch. Organic mulches are derived from natural materials that will decompose over time, lending organic matter as well as various nutrients to the soil. Organic mulches also may contain beneficial microorganisms that can fight against plant diseases. Inorganic mulches may be made of stones, landscape fabrics and plastic. Both types will need to be amended or re-placed as they degrade. Those who want the most environmentally-friendly mulching materials can choose all-natural mulches instead of synthetic alternatives. To work effectively, mulch should be applied in a two- to three-inch layer of material, state the experts at Old World Garden Farms. This is the ideal amount to retain soil moisture and suppress weed growth without choking plants. Also, mulch that is too thick may make it impossible for water to penetrate, or it may prevent the soil from airing out, causing continuously wet conditions that lead to root and stem rot. The University of Connecticut Home & Garden Education Center says mulch should not be placed directly against plant crowns or tree bases, as this can promote the development of disease. It may also serve as a habitat for bark- and stem-eating rodents. The center also suggests watering newly installed bark or wood mulches to prevent fungi from colonizing in dry mulch and causing problems like a water-repellent surface on the mulch. Home landscapers considering mulch types may find that compost, manure and grass clippings (from nonpesticide-treated lawns) can be inexpensive and versatile in garden beds. The home advice site The Spruce notes that newspaper may also be effective. Many newspapers have switched over to organic dyes, especially for their black and white sections. Newspapers are an inexpensive way to suppress weeds and act like organic mulch in beds. They can be covered with other organic mulch, like shredded bark, for more visual appeal. 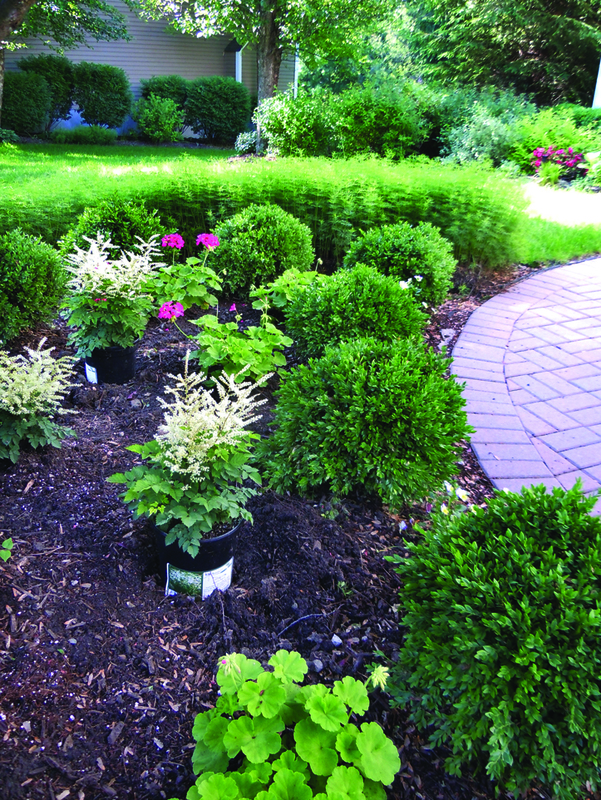 Mulch can be a versatile asset when doing gardening projects around home landscapes. And the benefits are more than just aesthetic. This story is from METRO, a wire service utilized by The Monitor.